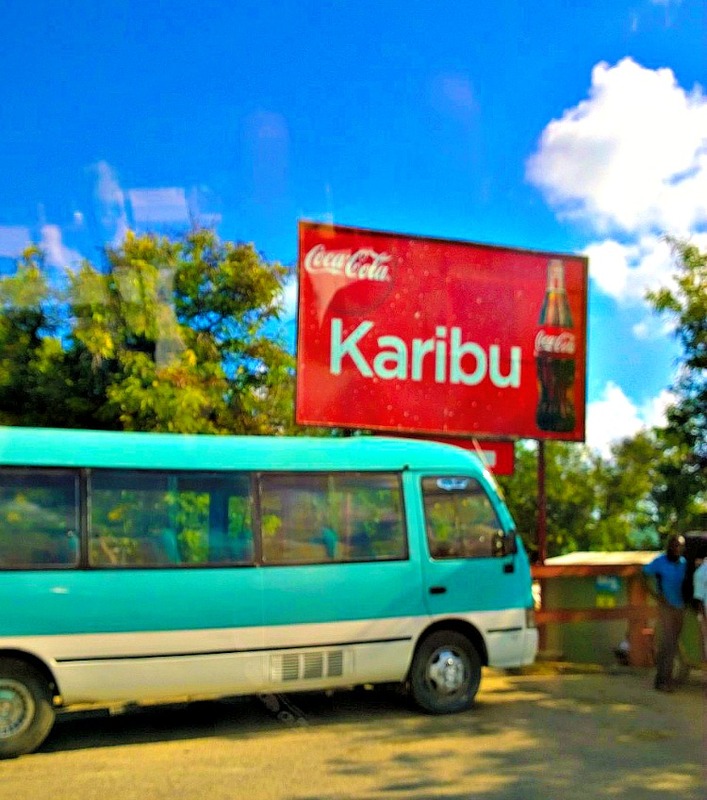 I traveled to Tanzania in West Africa last month with the folks from Coke to check out their amazing 5 by 20 initiative. If you haven't heard of 5 by 20, you should really check it out! 5by20 is one of the most empowering programs that I have come across for women. 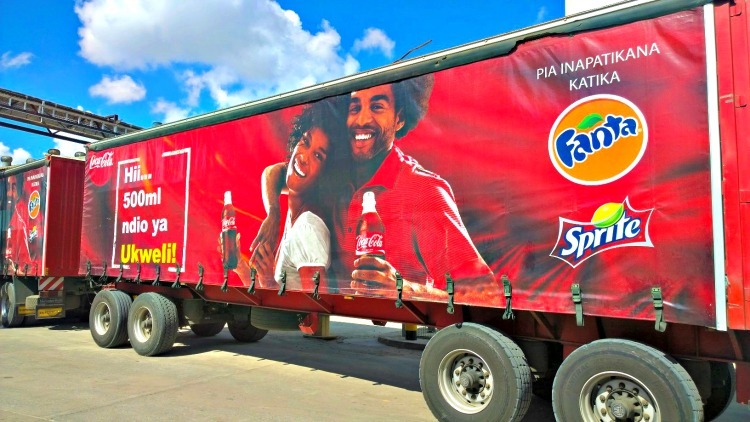 WHAT IS COCA-COLA'S 5BY20 INITIATIVE? 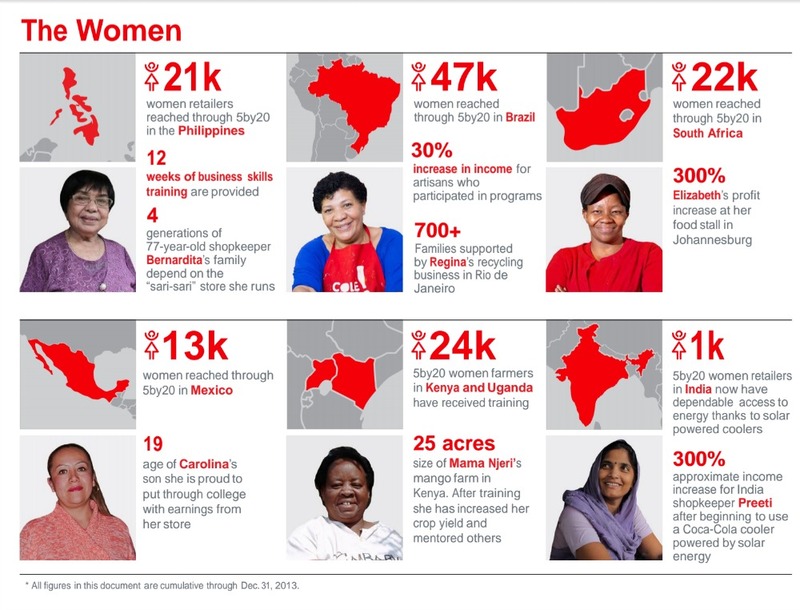 5by20 is The Coca-Cola Company's global commitment to enable the economic empowerment of 5 million women entrepreneurs, across the company's value chain by 2020. Specifically that means the small businesses they work with in over 200 countries around the world; from the fruit farmers to artisans, they are helping women overcome the barriers they face to business success. On September 21, 2010 The Coca-Cola Company launched it's 5by20 philanthropic good initiative. 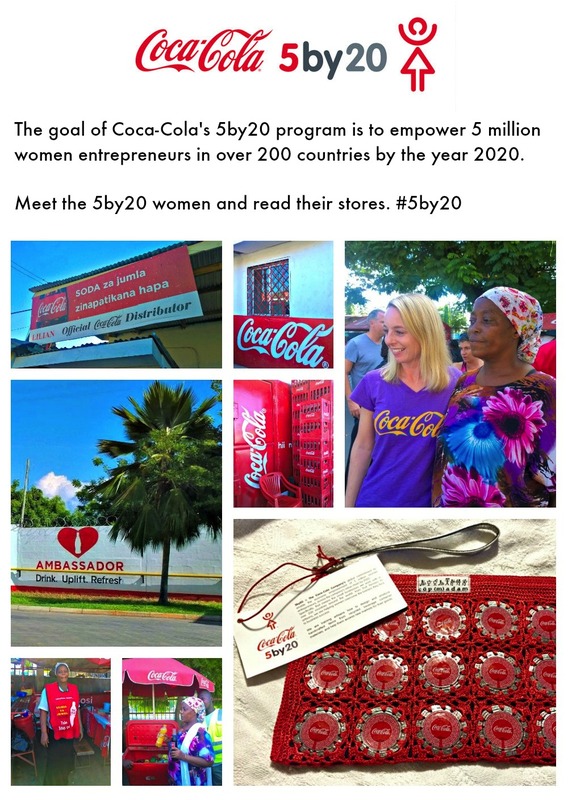 The goal of Coke's 5by20 program is to empower 5 million women entrepreneurs in over 200 countries by the year 2020. 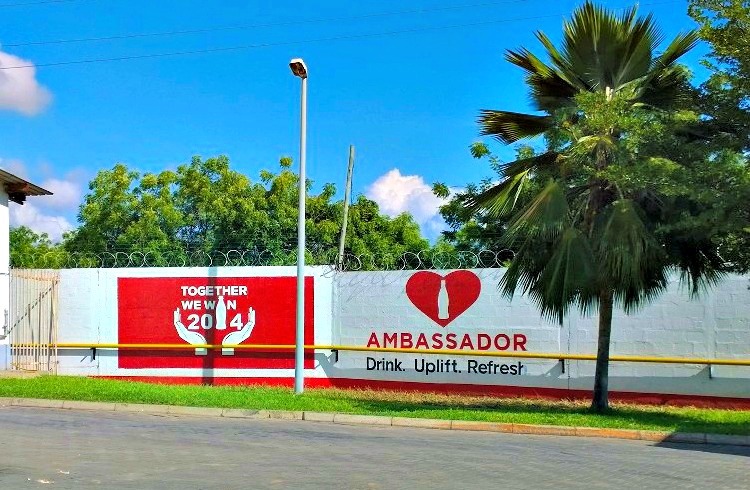 Two years earlier in 2008, at the United Nations Business Call To Action conference, Coca-Cola pledged to expand its micro distribution centers (MDCs) in Africa. 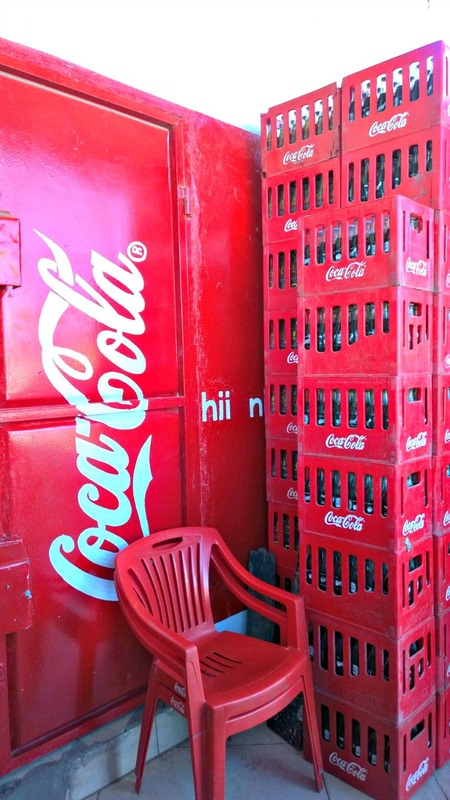 The MDCs are a network of micro-distributors and retailers who sell Coca-Cola products throughout the continent, often making deliveries by bicycle or pushcart. 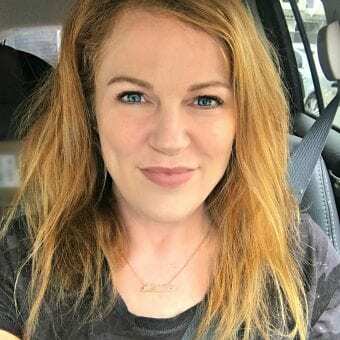 Coke promised that half of all new MDCs would be operated by women, and the 5by20 program two years later not only helps them to fulfill that promise, but it expands on that promise immeasurably. Research from Harvard John F. Kennedy School, combined with feedback from MDCs in Africa, showed that women entrepreneurs in African countries faced three major roadblocks in their business endeavors: lack of funding, lack of training, and lack of mentors and contacts with which to expand their professional network. Lack of opportunity yields lack of success. The 5by20 aims to help women entrepreneurs around the world to overcome these barriers and achieve success in their businesses. 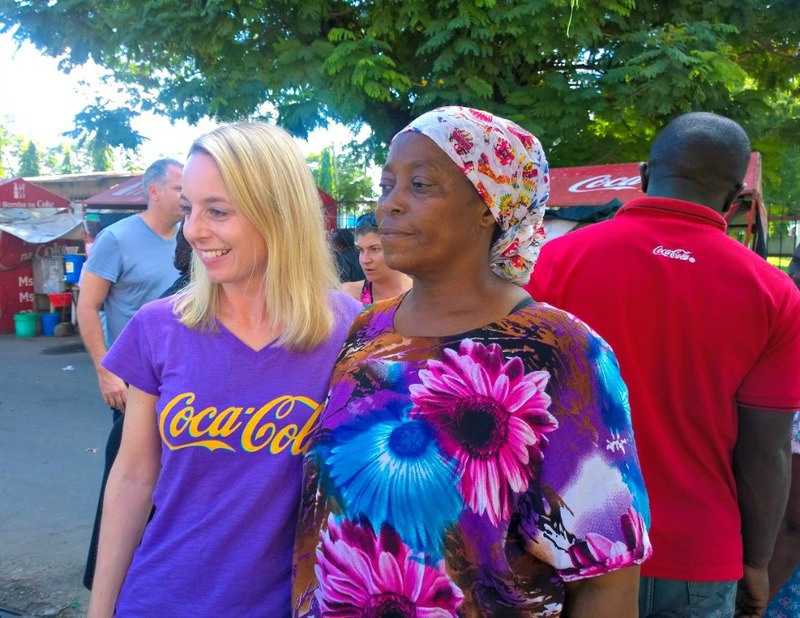 April from Coca-Cola with one of the women entrepreneurs from the 5 by 20 program. 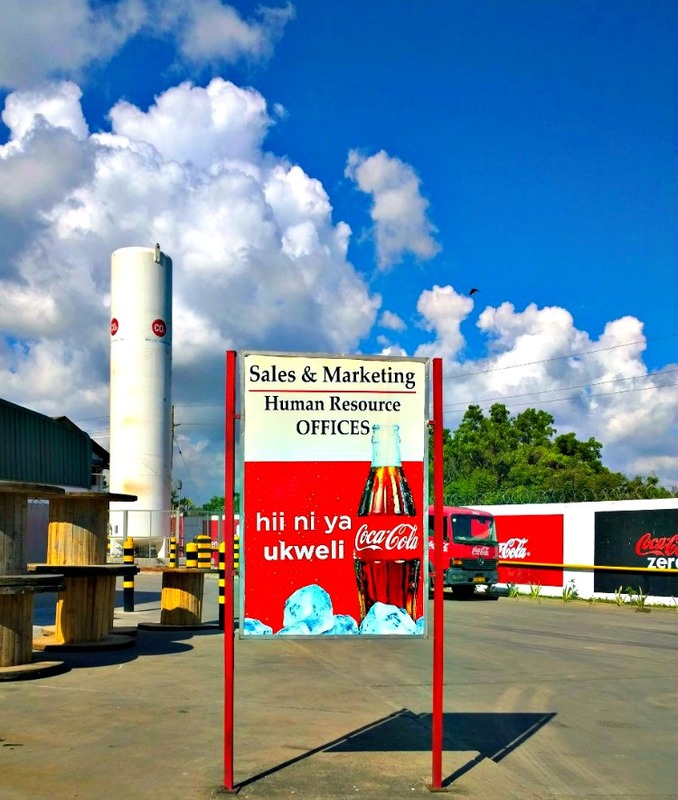 There are many women are being helped to sustain and grow their business through Coca-Cola. 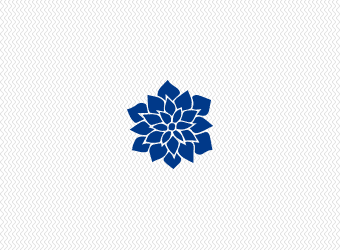 They include producers, suppliers, distributors, recyclers, retailers and artisans. Many small-scale distributors in India who operate their microbusinesses off the grid (i.e. 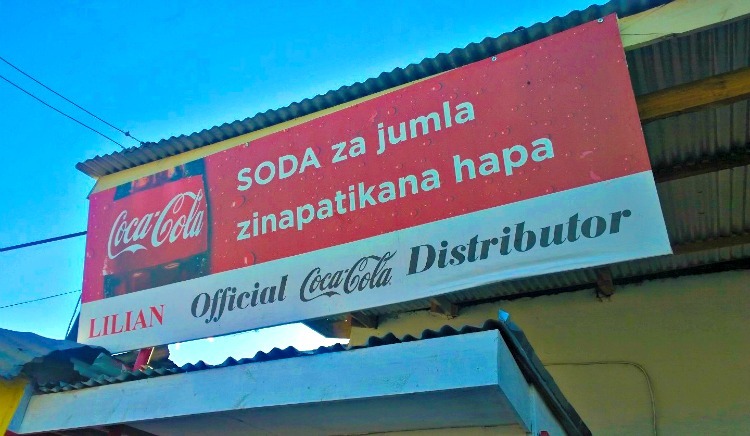 without access to electricity and other basic utilities) have received solar-powered Coca-Cola coolers to keep their products cold, attracting more sales. For others, such as farmers in Kenya and Uganda who produce fruit for Coca-Cola products, assistance has come in the form of advanced training and equipment with which to increase their crop yield. HOW MANY WOMEN ENTREPRENEURS HAVE BEEN IMPACTED BY THE PROGRAM? By the close of 2013, 5by20 had helped over 550,000 women in 44 countries support and grow their businesses. 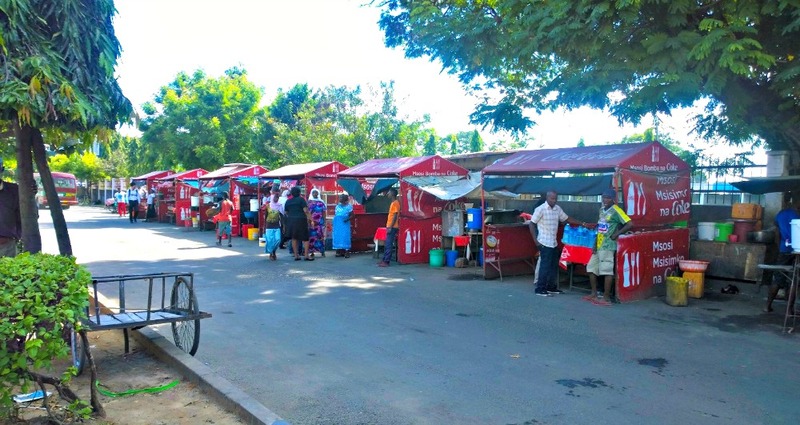 At the age of 24, Lilian launched a small manual distribution center, called Lilian MDC, in the Kinondoni District of Dar Es Salaam, Tanzania in 2005. A manual distribution center is a business that sells Coca-Cola beverages in metropolitan areas where neighboring communities have unstable roads and an infrastructure that makes it difficult for delivery trucks to travel. Those who own micro distribution centers employ others in the area, who then sell and distribute our beverage products to retailers, often by bicycle, motorbike or pushcart. For Lilian, running her own business was not easy and her resources were limited. She was the sole manager, as well as the stock controller, cashier and salesperson – with only a pushcart to help her. At home, she was also a wife and the mother of a two year-old daughter, Angel. To increase the size of her business, she sold a portion of her family’s land, investing all of the proceeds in her entrepreneurial dream. open her business. To help her get started, SABCO allowed her to sell product directly from their trucks. Lilian was successful, and she was soon able to rent space and grow her business. 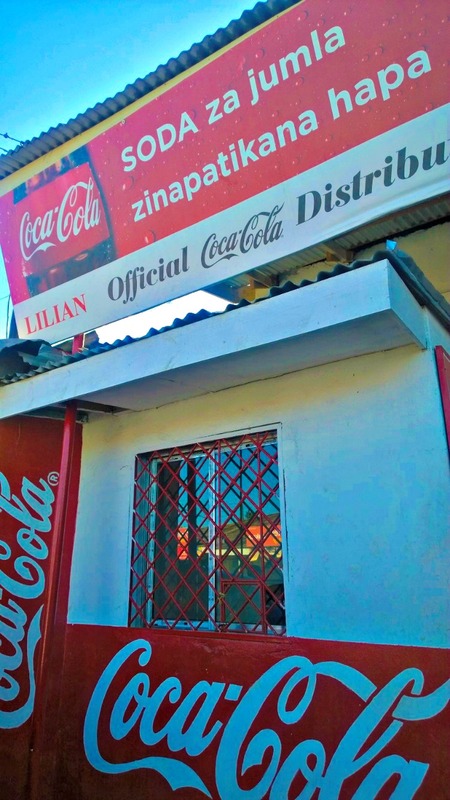 In 2012, Coca-Cola invited Lilian to participate in 5by20, where she received training and mentoring that has helped her to run a more efficient business. She now knows how to manage the operation, save money, keep records, and communicate with staff and customers. The growth of Lilian’s business has also allowed her to realize personal aspirations including providing for her daughter, now 12 years old and a top student at her private school with dreams of a career in science. Lilian is proud of the new home she is building for her family. Although Lilian’s business has already achieved much success, she dreams of more. She intends to open a second micro distribution center, expand to other communities and continue employing other women. Created by çöp(m)adam, a group of artisans in Western Turkey. 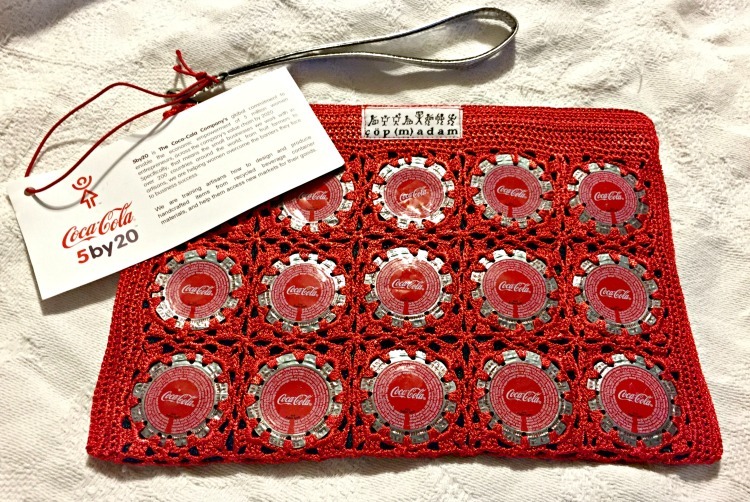 Coca-Cola is training artisans how to design and produce handcrafted items from recycled beverage container materials, and help them access new markets for their goods. The bag above was created by çöp(m)adam, a group of artisans in Western Turkey. Through this work they are doing with çöp(m)adam to produce bags, Coca-Cola has diverted packaging from landfill sites, and helped to improve the livelihoods of 70 women. 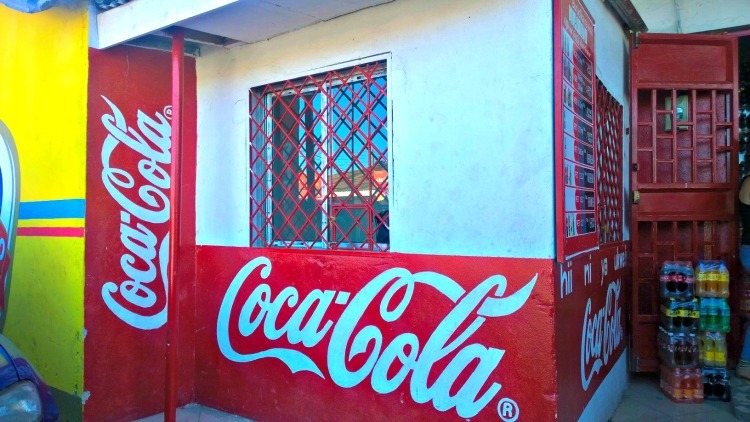 5by20 and The Coca-Cola Company are proud to be giving millions of women opportunities to grow their businesses, support their families and build their communities, while inspiring more women to do the same. Since the 5 by 20 launch in 2010, they have enabled over 550,000 women. The initiative continues to test, learn and scale the programs that work – an approach that The Coca-Cola Company hopes will ensure a lasting legacy that is sustainable and impactful. 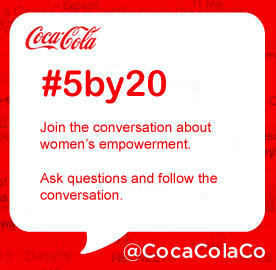 Join the conversation about women's empowerment by using the #5by20 hashtag. Ask questions and learn more. Wow, good for Coca Cola for helping out like this. I am really impressed. This is so great. Those with more should give more. I think it must makes the world a better place. I think it’s great that Coca Cola is doing this. 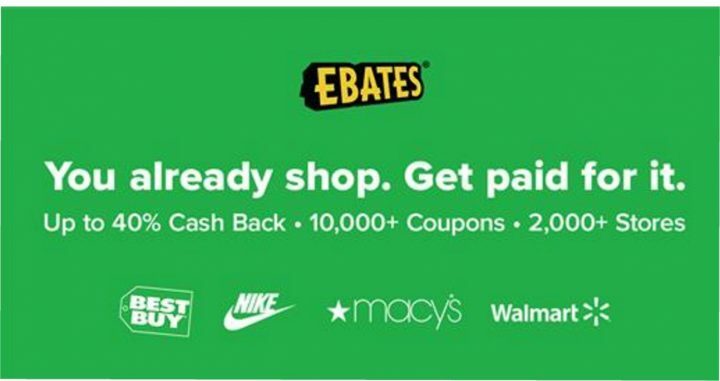 I love when companies give back like this. 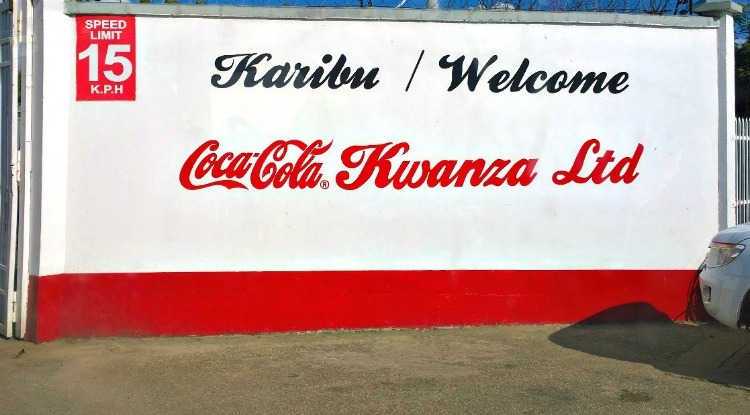 How refreshing that Coke is helping to empower woman in other countries! I knew I liked them for a good reason. I didn’t even know about this program from Coca Cola. How wonderful that they are helping empower women by growing businesses. What a wonderful way to empower women and help them provide for their families. Yay Coke!!! Wow this is pretty cool. I love how Coke is really helping out! I knew I loved Coke for some reason LOL What a great initiative. what a fantastic program! I love that they are empowering woman and opening doors that would normally be closed to them. Wow, what a great initiative. When I was in Costa Rica, I saw the signs everywhere. Didn’t know that it may be a part of this. 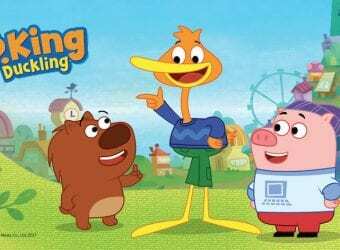 I had never heard of this program before! That is amazing what Cocoa Cola is doing for these women! What a trip of a lifetime for you as well! What a great initiative. 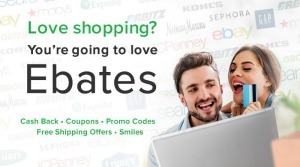 I haven’t heard of this program until now! How cool, way to go Coca Cola! Love my diet coke, this is just one more reason to love coca cola! I wish more major companies would take the time to do something as meaningful as this! It is wonderful that you got to be a part of this movement. 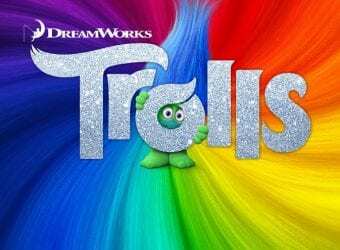 This is a fantastic program! I love that they are working for the empowerment of women! I am glad to see an American company who sells theur products in their countries take some responsibility in helping. I adore that bag BTW and would love to have one! I would love to see Coke help more on thee USA though. Woen are 50 percent or more of our population and so many are single Mothers or need help. It needs to go further but I am glad to see they are giving women a hand up somewhere.